We've teamed up with world class quality and a style that expresses the charm of each client. The art and passion of the photograph, the sensibility, expectations and dreams of the couples, the emotions and amazement of the loved ones… all these feelings take a form in a book that you will love at first sight. An exceptional product that enhances the photographics reportage by combining printing art with the prestigious editorial layout of the most celebrated projects. Offering a ten spread, twenty pages, your book creates a memento that will preserve the most important memories and stories for many years to come. A style that expresses new forms, imposing itself as a modern classic, based on creativity and craftsmanship. 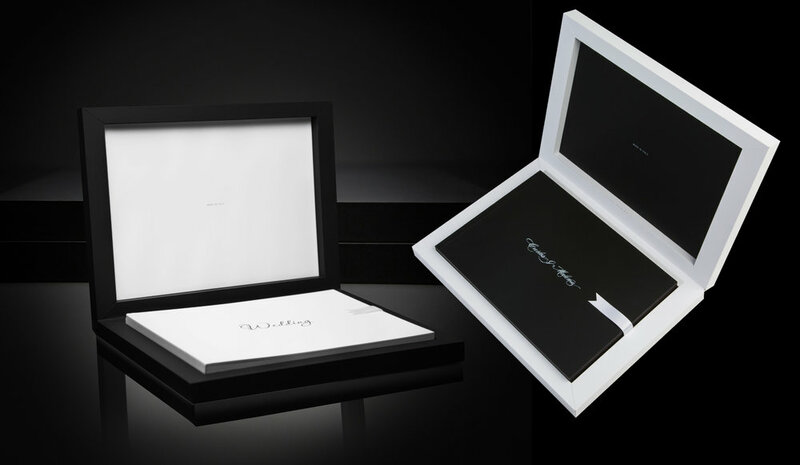 Our photo books include all the design work crafted to fit your expectations. Every wedding photo book is personally designed and created for each bride and groom. The art and passion of the photograph, the sensibility, expectations and dreams of the couples, the emotions and amazement of the loved ones… all these feelings take a form in a book that you will love at first sight. An exceptional product that enhances the photographics reportage by combining printing art with the prestigious editorial layout of the most celebrated projects. Choose a packaged album below that includes all the design work crafted to fit your expectations. With our albums, you are not trying to narrow down images or spreads, the design will tell the story of your day with fewer revisions. Offering a custom cover of the outside and inside of the box can be diversified for what relates to both the materials and the colors.